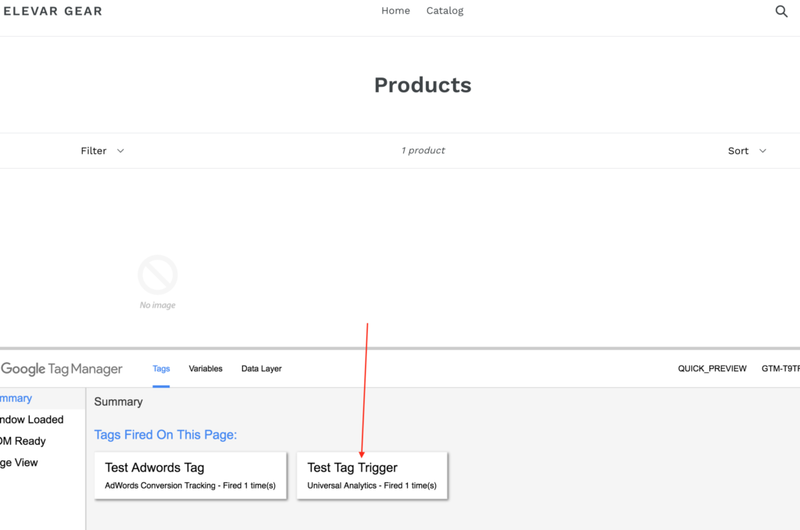 Yes, there is a creative way to implement Google Tag Manager on your Shopify store. See how! I’m all about finding creative ways to solve problems. Sometimes this results in my colleagues giving me hell for not doing it the right way. 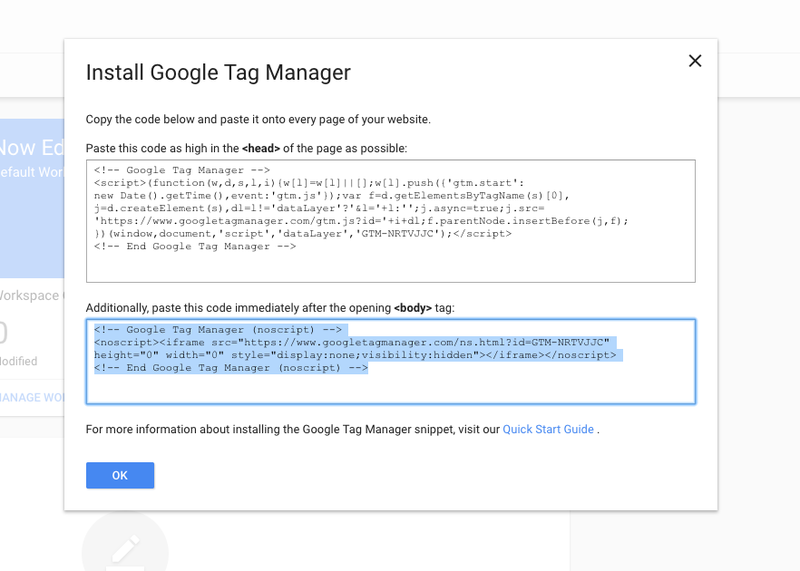 Consider this tip on how to add Google Tag Manager to your site-wide Shopify store one of those creative solutions. New: We’ve launched our own app that automates the install of GTM + Data Layer + AdWords! View on the Shopify app store. 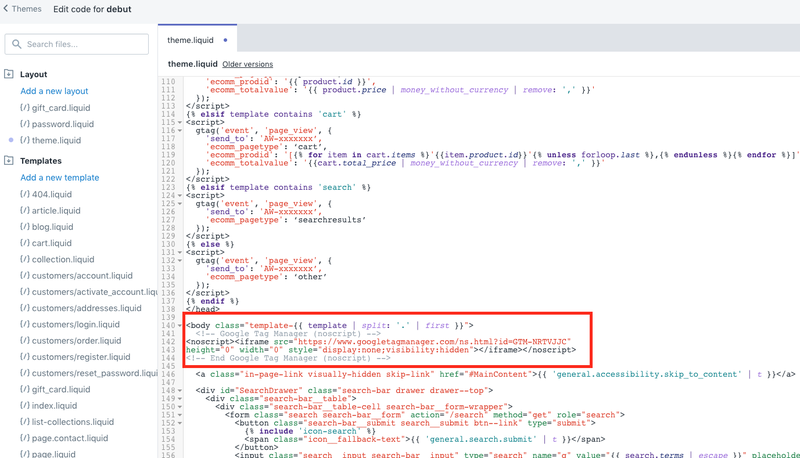 I recently went through a Google Analytics audit for a store on Shopify and noticed they were missing custom event actions (other than the default Shopify Event Actions “client_attribute_events”). Custom event tracking in Google Analytics is an extremely powerful addition to your behaviors analytics analysis. Without event actions tracking your unique onsite marketing techniques you are missing out on a wealth of data that will empower your marketing decisions. 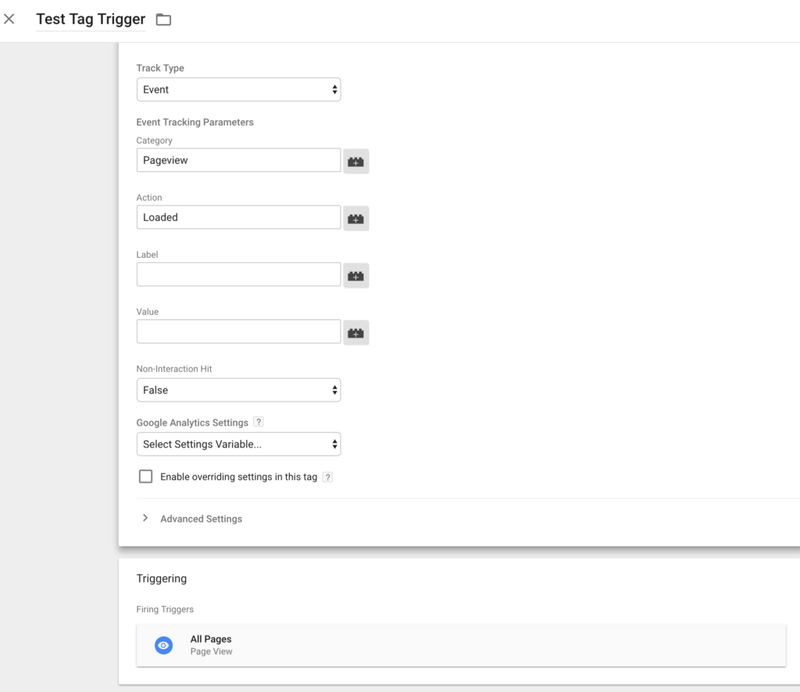 Enter Google Tag Manager — my go-to for adding custom Google Analytics behavior events to enrich my data from a user’s journey to conversion (or exiting 🙁 ). 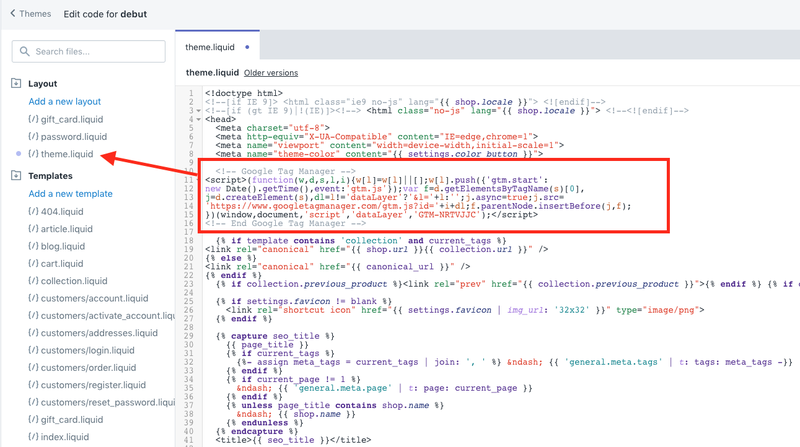 A quick review of Shopify documentation pointed to a Shopify Plus only feature, whereas a Google Search led me to customizing the liquid theme files. Option # 1 is my preference for non Shopify Plus stores so I can have GTM on every page, including checkout. Otherwise you can follow instructions below to implement via theme files. 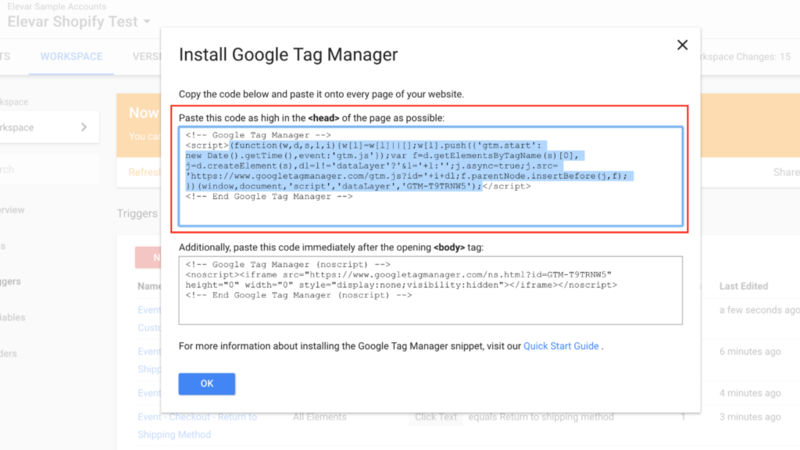 In order to get Google Tag Manager setup across the entire site, including all checkout pages, it only needs to be set up in one place within the Shopify admin. Just in case you have placed GTM in your Shopify Account > Settings > Checkout settings, you don’t actually need this anymore since the process outlined above will work on all pages, including checkout. 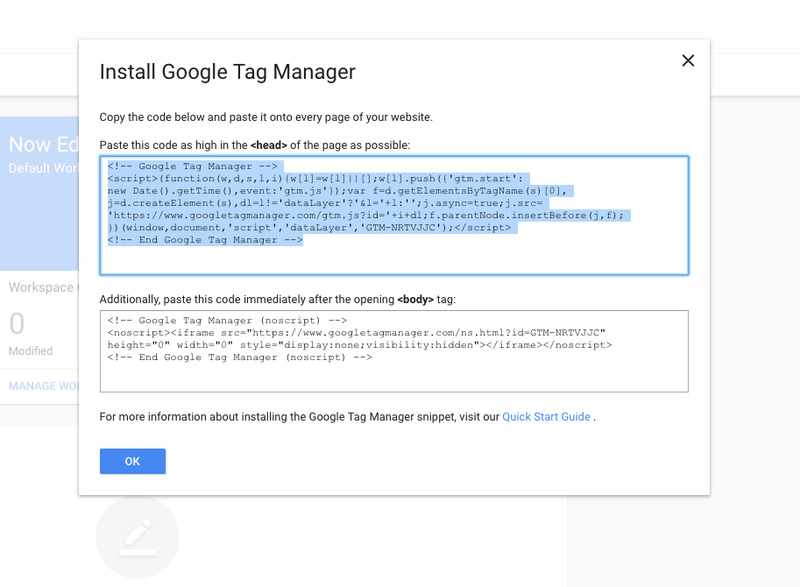 Verify Your Google Tag Manager is Working! 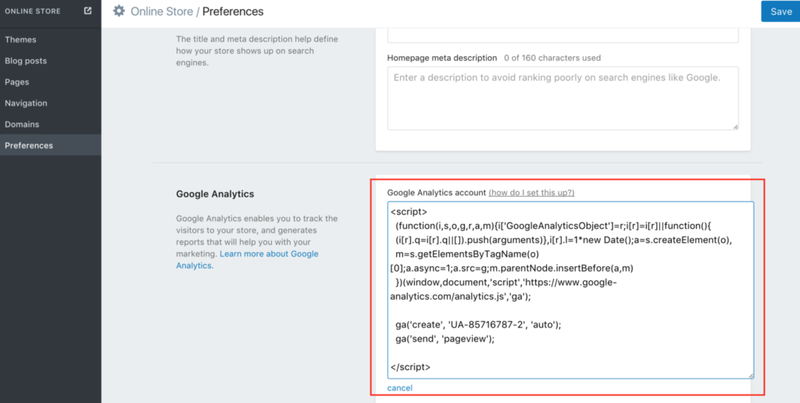 First, I want to make clear that I recommend you keep your sitewide Google Analytics and eCommerce pageview tracking through the native Shopify setup that I outlined in step 1 above. In many cases it won’t be worth the additional effort to reimplement everything via GTM especially since Enhanced eCommerce is already hooked up for you! You can now begin adding and testing more tags to your container to verify all works as you expect it to. Do you prefer to install GTM within your Shopify theme? If you have a developer or agency then ensure you are requesting this to be put near the top of your opening <head>. That’s it. If you are on Shopify Plus then you’ll need to replicate this step in your checkout.liquid theme file as well. After months of helping thousands of Shopify stores implement GTM, we decided to build our own app! 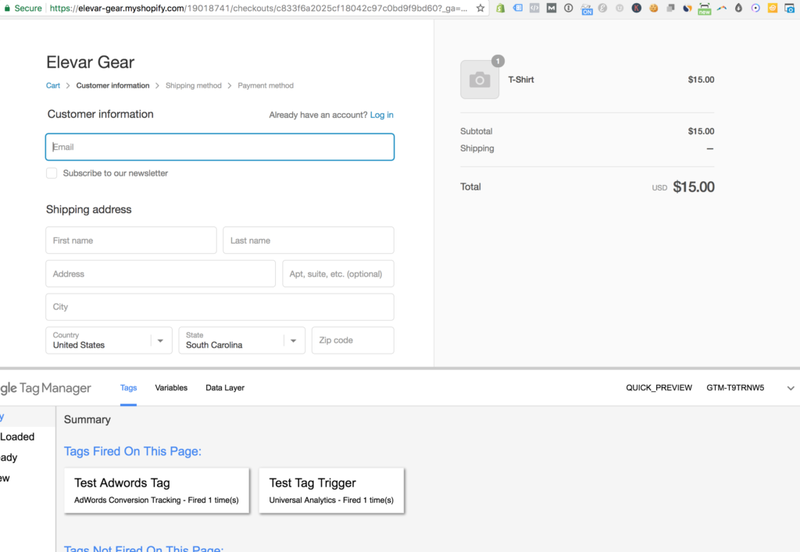 Our Shopify app covers the installation of GTM along with all of the dataLayer variables needed for Google AdWords dynamic remarketing. You can view all of the details on the app here – check it out! Now that you have GTM loading on your entire Shopify store, how can you take advantage of this? Add 3rd party marketing scripts/pixels without the need for a lengthy development process. 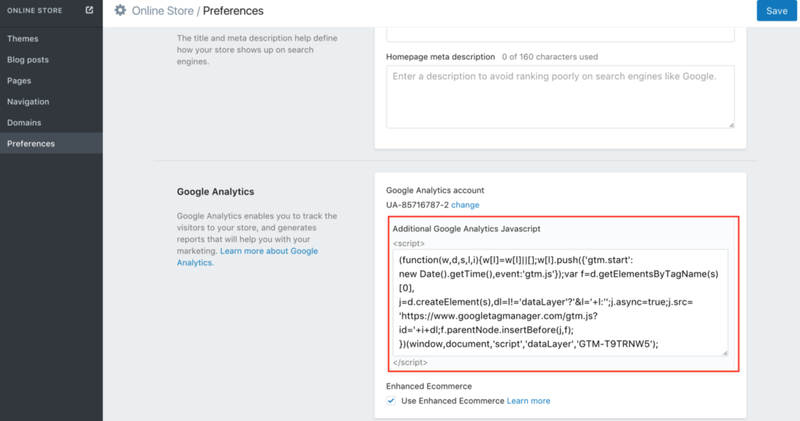 Add Google Analytics custom events that can unlock more even more insights to help in your conversion optimization strategy. Utilize GTM for more advanced onsite feature control, clean URL parameter sharing, etc.